At The Paddock Farm Shop, we are now able to offer refills in store, where you can bring your own bottle along to the Farm Shop and pay for the item your are buying without purchasing yet another plastic bottle! Bring along a bottle, any bottle, washed out and clearly labelled with the ml the bottle contains (original sticker is fine! ), and refill from our bulk selection, only paying for the quantity of the item you take. If you wish to order a refill with your veg box, please leave out an empty bottle with your crate for our driver to take away (or give it directly to the driver). This must be clearly labelled with your name, the item you would like it to be refilled with for example, washing up liquid and the ml. Our driver will return this to the workroom, where it will be refilled and added to your next veg box. The bottle can be any size, glass or plastic. 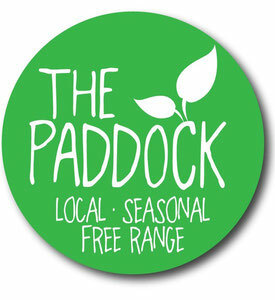 We don't yet have a system for ordering the refills online but please pop into our farm shop or email us laura@thepaddock.org.uk for more info - prices are listed below. ALL OF THE PRODUCTS WE SELL OPPOSE ANIMAL TESTING. THEY ARE ALL CERTIFIED CRUELTY FREE, SUITABLE FOR VEGANS AND DO NOT CONTAIN ANIMAL PRODUCTS. The majority of our eco friendly cleaning products are sourced via SUMA. Ecoleaf are voted the Consumer Best Buy. All products oppose animal testing, have the certified cruelty free status and are suitable for those with a vegan diet. They are affordable, plant based, eco friendly cleaning products with no harsh chemicals - much better for you and the environment. Ecoleaf are based right here in the UK. SUMA also take the 20L drums we use for our refill system back, they recycle them at a local plant near where they are based in Leeds, where they are melted down into new drums! This reduces our carbon footprint even further.